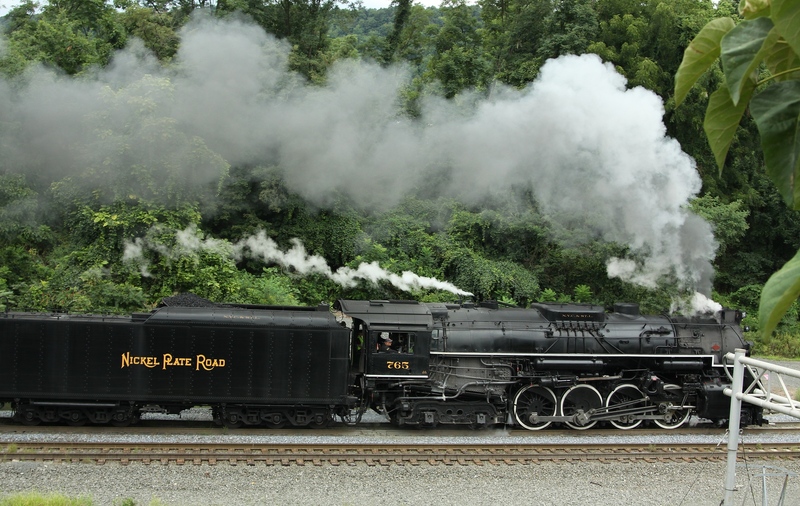 NKP 765 made a fairly hush-hush visit to the Harrisburg area 8-18-19-12 for a Norfolk Southern Corporate event. I had latimore Valley to attend Sat,so my brother and I headed up Sunday. 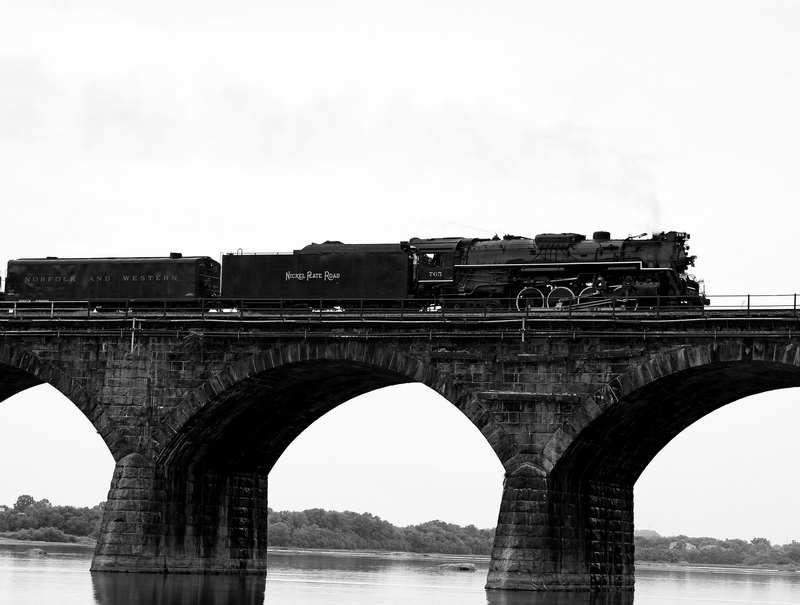 It was pretty cloudy and gloomy most of the time,but I took some photos of this rare chance to shoot steam on the mainline around here. 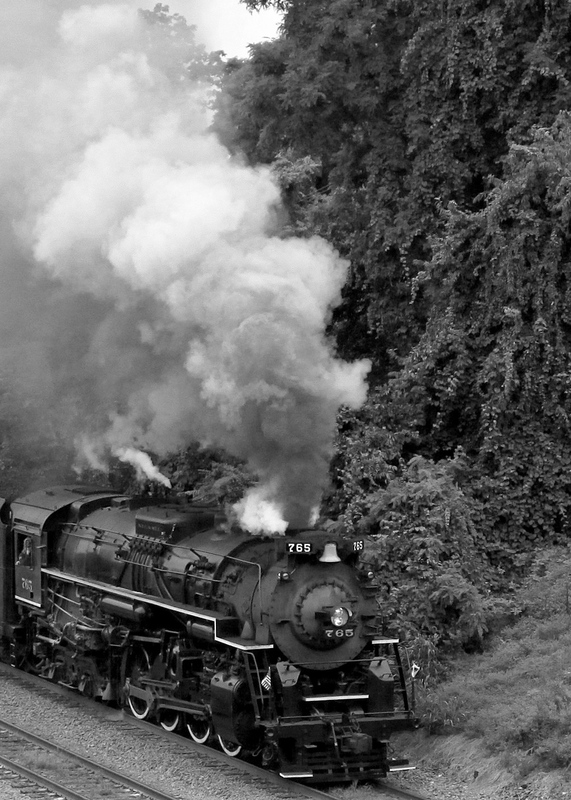 The NKP 765 is a Berkshire class 2-8-4 Steam engine from the era of modern Super Power Steam. 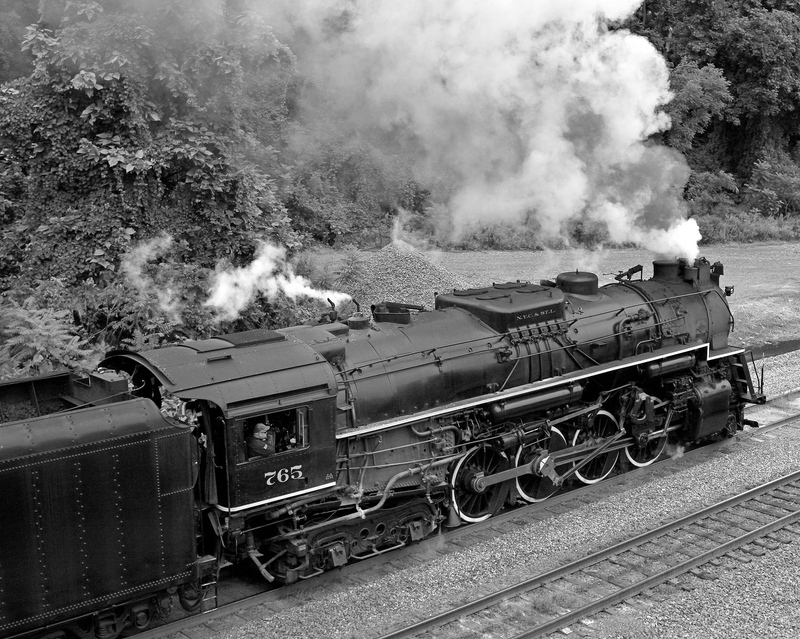 The purchase of 50 of these engines transformed the Nickel Plate Road into a High Speed freight Railroad and were in service until around 1958. 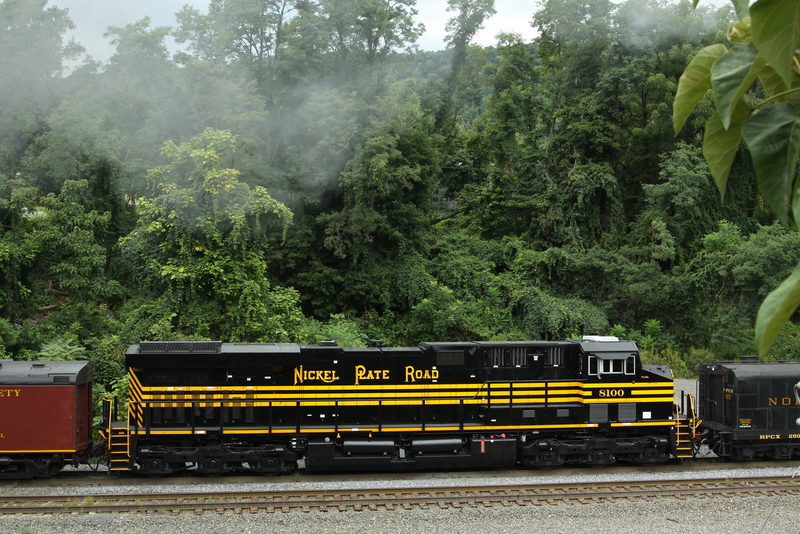 Norfolk Southern deems a Diesel back up unit is a requirement in case the Steam engine has a mechanical issue. It was not needed,but at least it was one of the specially painted units. 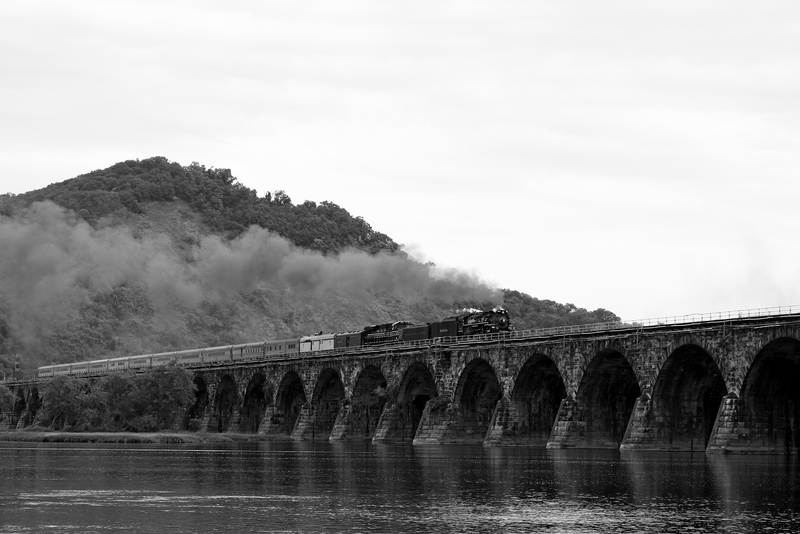 765 heads toward the Rockville Bridge. On the famous Rockville Bridge. Returning to Enola from Harrisburg. On the bridge for the last time before heading back to Ft Wayne Indiana. 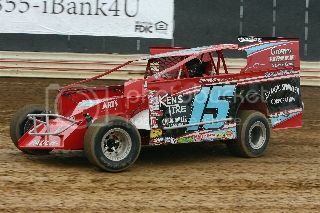 Great, great pics Tony!!! Thank you again so much for sharing these!!! Great shots Tony! I wanted to catch it at the Horse Shoe Curve but I couldn't make that happen. 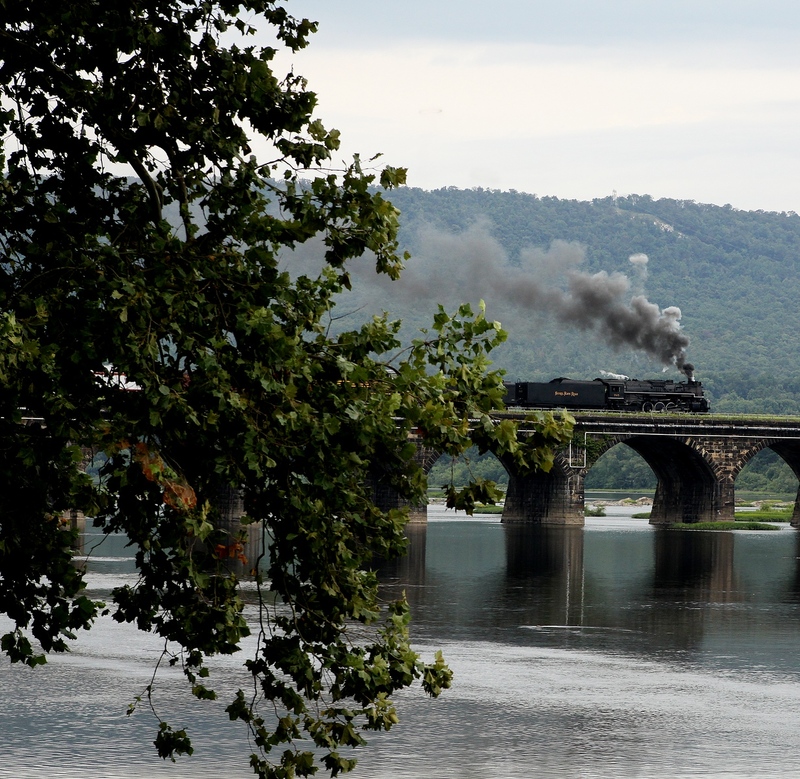 I really,really wanted to see her climb around Horseshoe Curve,too. My Vacation ended on Sunday,though,so I missed it as well. Killer shots there Tony! Love those bridge shots! 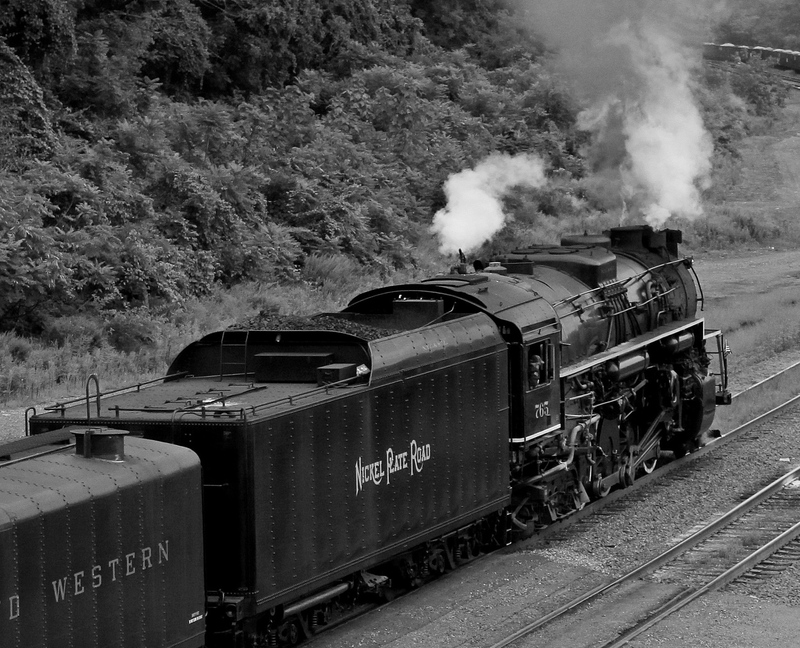 Very nice capture of railroad history Tony. The Berkshire was a big deal back then!